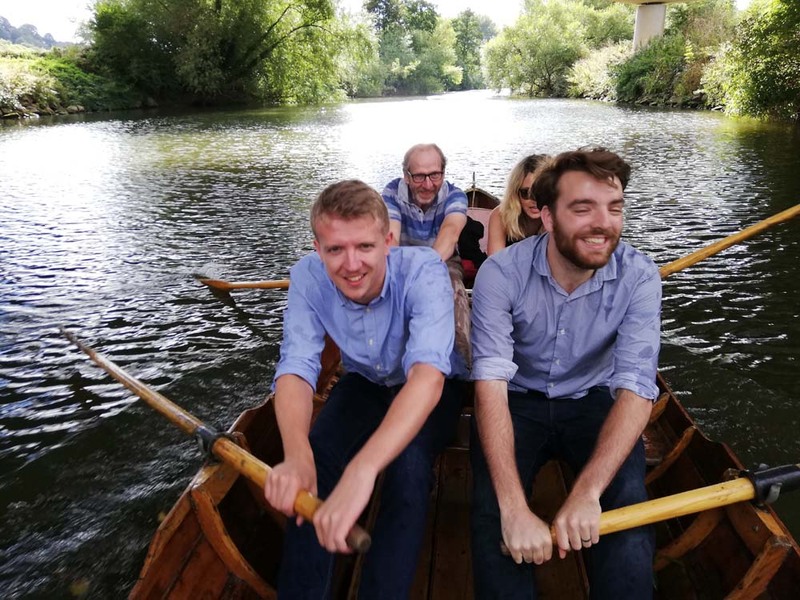 Row, row, row our boat - Splash! Here are some photo's from the staff summer party bash on Friday. Despite the clouds and rain, there were a record number of people at this year's SRA summer party at Larkhall Sports Club! 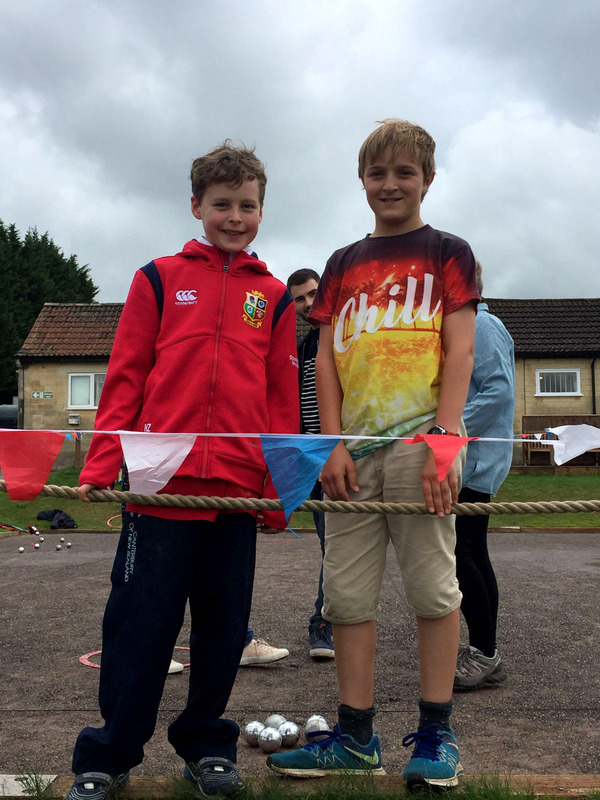 We enjoyed a fun day with a delicious feast of BBQ food and tasty salads that set us all up to take part in the afternoon Boules competition. With brief interludes of sunshine we joined in our matches and had the friendly volunteers on-hand to help guide us through the competition rules, providing a tape measure when required. 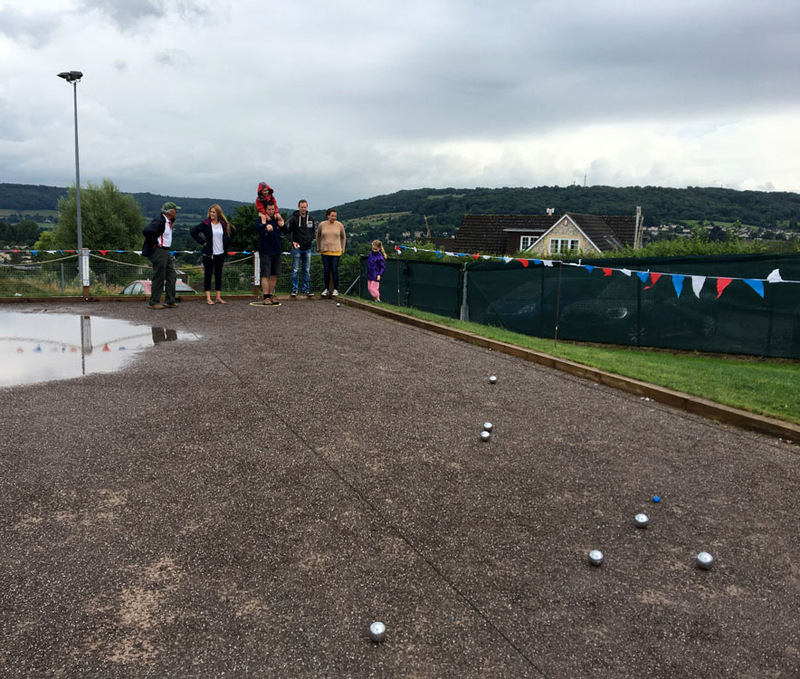 Play stopped mid-afternoon for some tasty tea and cake and then we restarted play: for some of us it was boules - for others - the bouncy castle, giant Jenga and Connect 4! The 'Finals' took place on the skittle alley with Sinead and Patrick taking first place. A very big thank you to Emma and Amy who organised the event and made sure everything ran so smoothly. Also to all the team and their family members that braved the weather and created a fun atmosphere on the day. Thanks Emma for organising such a fun day out.